IGUS’s Drylin bushings (RJ4JP-01-08) worked installed in the Prusa i3 Mk3 printer. And they would probably still work to an extent if I left them installed. .I’m now faced with a slight dilemma. The 3D scanner table has been modified for a 608 bearing and printed out. And as it turns out the 608 bearings I intended to use are a gummed up with shipping oil. Should we clean out the bearings with Acetone? Or just drown them in some PTFE fortified 3 in 1 oil? 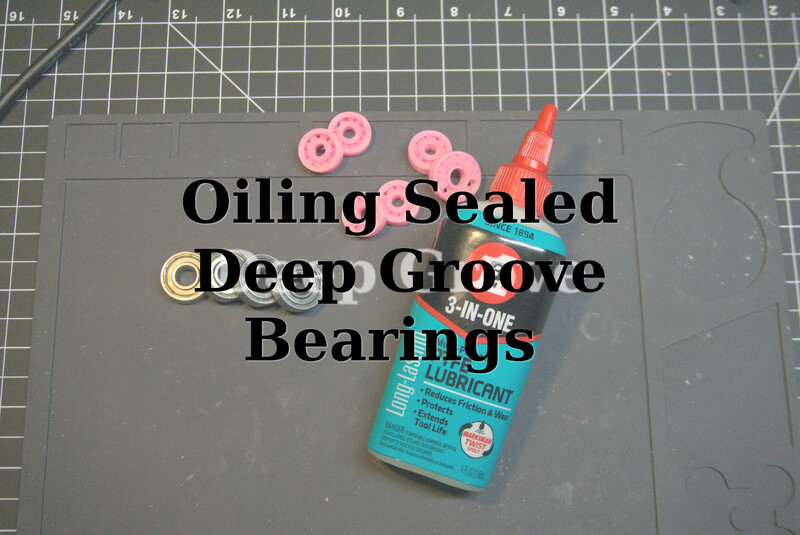 That’s what I aim to answer in the next video, Cleaning and Oiling Sealed Deep Groove Bearings (608). There’s also bonus footage on the 626 bearings visible in the shot. They’re printed in EBay’s cheapest Pink filament I’m currently testing out a spool of.